I have created a new installer / loader For SP 2010 and 2013. This will ease the setup on SP 2010, and will replace the JSLink installer on SP 2013. This new installer is part of the effort to support the new design rolling out in SharePoint online. I will soon publish the Office 365 version of the installer to the Office Store. This will integrate in the ribbon in lists and libraries, but currently only the local version is available. The installation process is described in the user manual. Please note that the default location for the “SPJS” document library with the DFFS files is in the SITE you use DFFS in. You can optionally place the “SPJS” document library in the root of the SITE COLLECTION. This is described in the user manual. I tried upgrading and am getting the below error so far on my NewForm in SharePoint 2010. 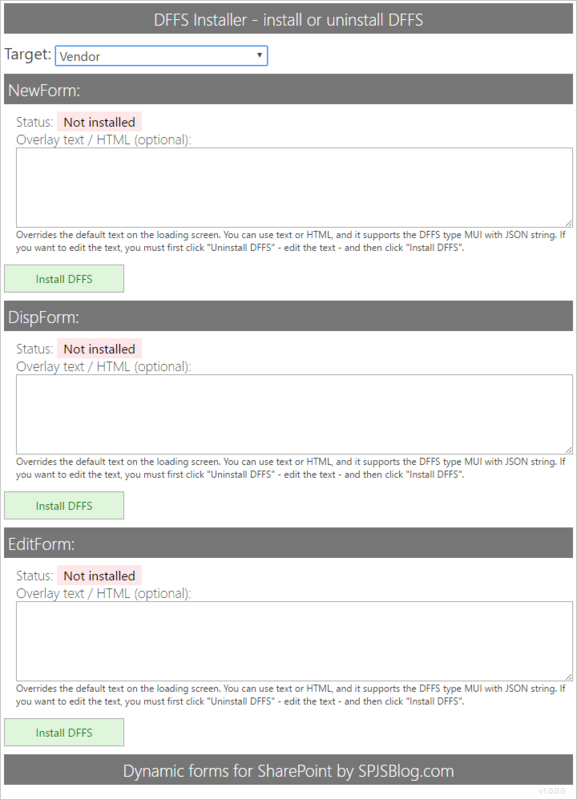 This is an issue with IE when forced into “quirks mode” or other pre IE8 modes. Could you try bringing up the developer console and look at the “Emulation” tab – what are the values in “Document mode” and “User agent string”. I’ll see what I can do to make a workaround.